There are so many things to think about when setting up a new business. Your technology and IT is always an afterthought when establishing a new business. In this guide, I’m going to outline the key areas to focus on when setting up a new business from scratch. Keeping things simple so you can focus on winning new business is the goal of this guide. Quite often when a new business is formed the business name is decided upon and a quick visit to a website host like Heart Internet or Reg123 to purchase a new domain name for the company is done. Usually, this is the same place that will offer to host your website and provide some form of POP/IMAP email. The problem with website hosts for email is that there is limited functionality when it comes to email. Both POP and IMAP have their limitations which will become very apparent as the business grows. That’s why this is the first key point in our business guide, getting your email upgraded to the right service provider is crucial as we all know how much we rely on email for day to day tasks. Their’s currently 2 main choices when it comes to having a business email service, either Office 365 or G-Suite (formerly Google Apps). Both services have their benefits and we will deep dive into more detail on both in a future guide. For now, it’s worth paying that little bit extra for one of these two services. Note that you may require an IT professional or IT company to move your current company domain to Office 365 or G-Suite as with anything in life it’s not straight forward but the level of service you get once on the platform is well worth the hassle up front. Spam protection is part of both Office 365 and G Suite as standard. You won’t get any form of spam protection from regular website hosts email service so again this is another selling point when migrating to a business email system. Now you might not think much of spam to start off with but as time goes on your email address will more than likely get added to a few email lists where it can become a real problem. This will clog up your inbox and distract you from the real emails that need addressing. It can also be a security issue as some of the incoming spam will have attachment invoices and PDFs which are meant to look genuine. This could be further from the truth and they are actually malicious in nature in the form of ransomware. Both Office 365 and G Suite will protect your email from security threat up to the level of 99% but there’s also the wider internet where having business grade virus protection on your main computer systems is well worth the investment. There are multiple antivirus suppliers on the market all with their own unique benefits but the one-word advice I would give you here is do not go down the free route for your anti-virus protection. I’ve seen time and time again many systems infected that have previously been secured with “free anti-virus software”. Choosing the right IT hardware for your business. We’ve covered this in great detail in a previous article here. The main outline is that you first have to ask the question of what are you going to be doing day to day on your computer for business purposes? The answer will help you choose the right computer system. There’s obviously a lot of choice on the market and as discussed in this article we only focused on desktop PCs. There’s also laptops, Apple macs and tablets devices. Could you really do all your business from an iPad? Some people do but you really have to ask the question: what are you going to be doing daily on your computer system? If you are on the road or working onsite at customers then a laptop may be the ideal solution. but your can expect to pay a premium price. For this you will get amazing build quality and a great hardware setup. There’s still a lot of software that just works better on a PC based system like for example Microsoft office. If you go down the Apple route for Office you really are just paying a premium price for reduced functionality. However the argument to this is quality hardware and if you are at all creative then a Mac makes sense for working with illustrator files, photoshop and video editing. There is not a clear winner here and it is a matter of personal preference and bank balance. That extra £1000 you spent on the Apple Mac could have been invested in marketing your business and winning your first 5 customers. The main topics we’ve discussed so far in this article have all been technical and nature and you might not feel comfortable jumping in hands-on setting up new systems, emails and configuring outlook. This is where you’ll call upon an IT Support company to assist in the setup of your new business. What can you expect from an IT provider? Usually, they’ll offer a form of proactive monitoring of your IT systems. In the form of a software tool, it will monitor your desktops & laptops and alert them to any problems that might be going on in the background. The proactive monitoring works well for most businesses and complements the reactive IT support that all IT providers usually offer. A helpdesk which can be called upon to help you remotely or where necessary onsite to assist with technical and IT support issues is a life saver. Backup systems are always an afterthought when setting up a new IT system but they are crucial to the continual success of your business and getting the right backup system in place from the start will also go towards obtaining your ISO 9001 accreditation. Most backup solutions now offer offsite backup to a cloud storage service. This is a great idea as it will protect your business against any disasters of security breaches. As your data is held offsite in a secure location you can be assured that if anything were to happen you’d have a complete backup of your systems. Keep in mind the first time you backup the company data to an offsite location there will be a large amount of data to transfer on the internet upload. If you have a slow internet connection this can take a couple of days to weeks depending on the volume of data. This again is where an IT support provider can come in and manage the first full backup. 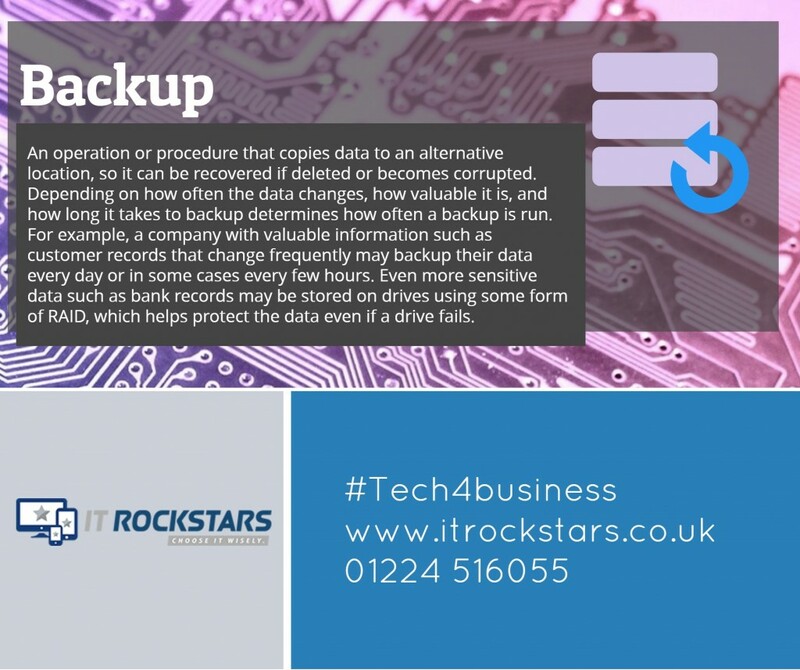 Subsequent backups can then be taken of just the difference in data (what changes have been made) This is called a differential backup and is a far more efficient backup process when dealing with offsite locations. File storage is also a consideration. If your a one man band this is an easy choice, store your files on your computer. However, if there are a number of employees that require access to the same files you’re going to have to get some form of central file storage device. Now you could do this the poor man way and just share a folder from your PC to other PC’s in the office however this is not ideal and will cause problems further down the line. The answer is a NAS device (network attached storage). 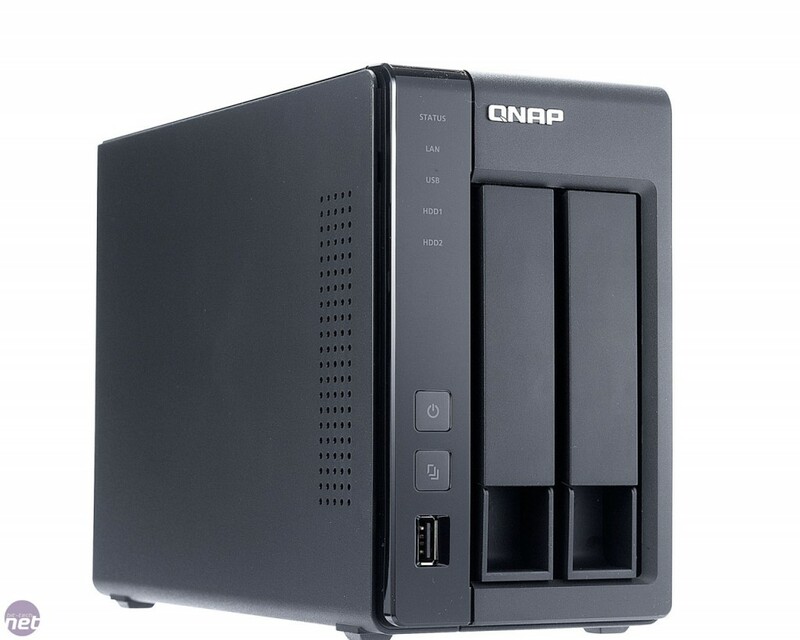 NAS units come in many flavours and are ideal for an office with 5 or less staff. If you’ve got more than 5 users on the system then you are probably going to have to bump up to a proper server. Usually based on Windows Server this can not only store files but also store passwords for the office computers which mean security and management of the IT systems, in general, are easier to do. At the time of writing Microsoft has yet to offer a full cloud solution that can also secure the local desktop computer. Things are looking promising with Microsoft’s Azure services but we’re not 100% fully there yet with cloud services managing the local IT infrastructure. Finally, probably one of the most important choices when starting out in business is how you’re going to manage your accounts. Now you may have employed a part-time bookkeeper or accountant and one of the first things they’re going to tell you is to start recording your transactions. What’s coming into the business and what’s going out. At a basic Microsoft Excel will suffice for this however again if you plan ahead here you’ll find things are easier further down the line. Here in the UK, the most popular business accounting programs are Sage & Xero. Personally, I have the preference for Xero but that’s just because of my experiences and lack of knowledge of Sage. Your accountant will have good advice on this matter and it is worth addressing starting off the bat. We hope we’ve answered some of the questions you may have had in your head about where to start with IT for a new business. Of course, we’ve covered a lot of topics where which might have given you new questions. Please do not hesitate to get in touch by leaving a comment below or calling IT Rockstars on 01224 516055 we offer IT support for business in Aberdeen and Aberdeenshire.